I decided to venture from my seaside retreat into the big smoke to visit a couple of letterpress exhibitions and to also savour some of my food heaven, beigles from Brick Lane. The first exhibition was at the ‘Atom Gallery’ in Stoke Newington, North London. 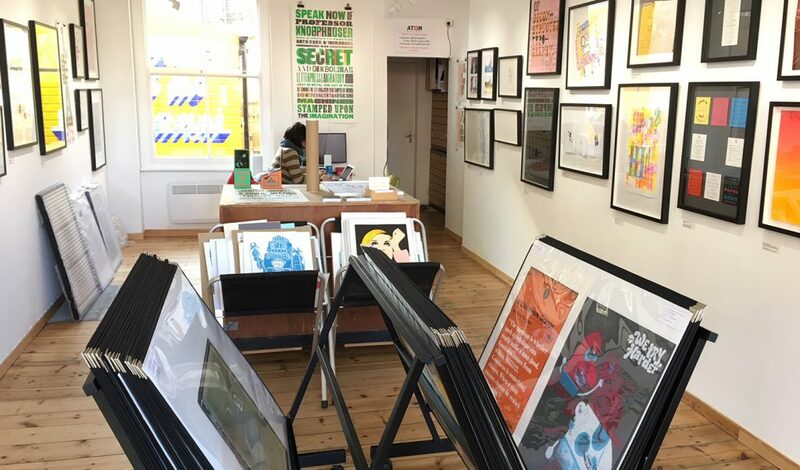 It’s a really cool independent gallery with a silkscreen printing space in the basement. 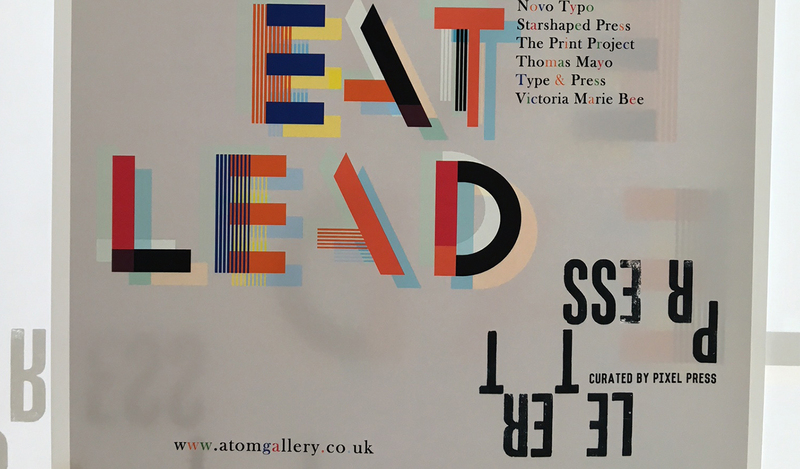 The exhibition ‘Eat Lead’ was curated by ‘Pixel Press’ and has a large selection of work from 25 artists, covering many styles and techniques achieved by using this traditional printing method. 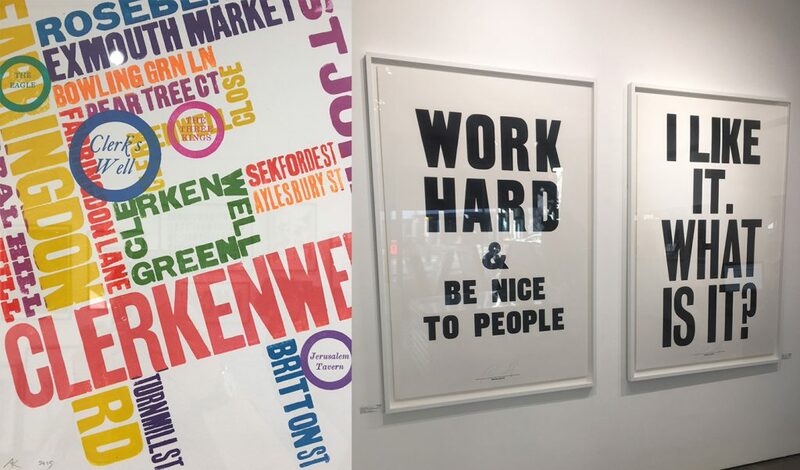 Next on my list was Shoreditch, to visit ‘Jealous’ – another independent gallery which has an Anthony Burrill show ‘Work Hard & Be Nice To People’ featuring letterpress prints and giant-sized silkscreen prints. There was also a really inspiring selection of other printmakers on display in the gallery. I also stopped off at one of my favourite book shops ‘Artwords’ to stock up on some new design books. 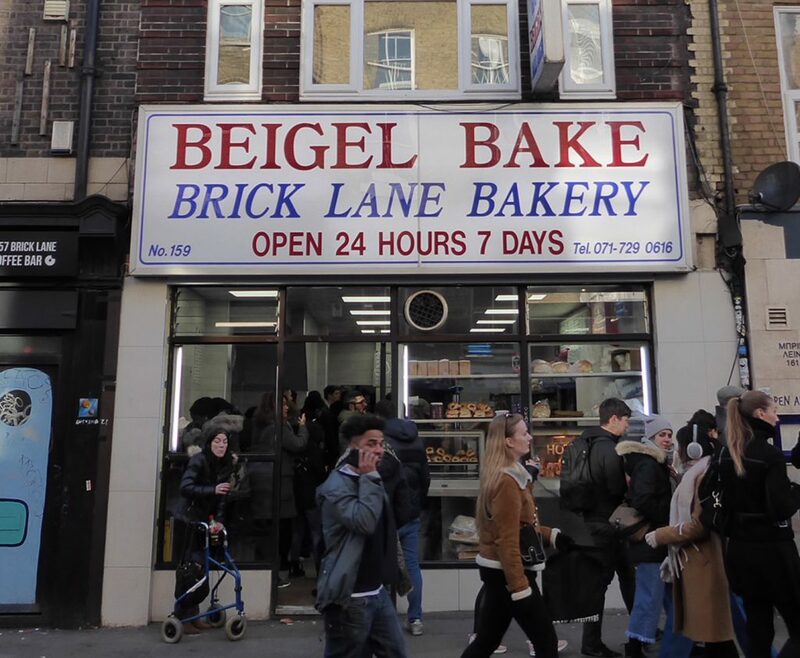 The last box to be ticked on this little adventure was a visit to Beigel Bake which is a 24hr bakery in Brick Lane (beigel is a Jewish spelling of the more comply used ‘bagel’). As is often the case, there was a queue coming out of the door so I stood in line for my hot salt beef bagel… I was in food heaven! Heading back to the seaside, where I live, I was fully content, with a bag full books and beigles and a head full of creative ideas. Written by Clare Somerville-Perkins, Senior Designer.